In almost any job, an employee can be exposed to a wide range of dangerous chemicals on a regular, if not daily, basis. When someone thinks of exposure to a toxic substance in the workplace, most people think of jobs in factories or locations where dangerous chemicals are used, manufactured, or mined. However, even an employee with an office job can suffer from chemical exposure from substances, such as cleaning products or paint, if proper safety precautions are not in place. Even seemingly harmless chemicals can have serious health consequences, like cancer or skin conditions, if an individual is exposed to them over an extended period of time. An individual can suffer injury from a toxic substance in a variety of ways. Having your skin come into contact with the substance, breathing in the fumes, or even swallowing a miniscule amount of a toxic substance are just a few of the ways that an individual can become injured. In other instances, an employee who regularly works with dangerous chemicals can suffer injury if their safety equipment is insufficient. Some types of safety equipment that should be used when dealing with toxic substances are goggles, gloves, a helmet, a full body suit, and possibly even exhaust fans for proper ventilation. It is up to the employer to ensure that all of its employees are properly equipped with safety gear for their work environment. Without proper safety equipment and procedures in place for employees, workplace exposure to toxic substances can result in serious injuries or diseases with life-changing consequences for the injured employee. The most common types of injuries that can occur from exposure to toxic substances are burns, rashes, throat and lung injuries. However, neurological, i.e. brain damage, as well as cancer, blindness, reproductive harm, organ damage, and disfigurement have also been known to result from exposure to toxic substances. Furthermore, some symptoms of pre-existing diseases, like Parkinson’s disease, may worsen over time because of exposure to toxic substances. Moreover, some diseases, like asbestosis or mesothelioma, caused by exposure to toxic substances may not present symptoms for several years, causing delayed health problems, which continue to worsen over time. In many situations, evidence of toxic exposure must be detected within the first few minutes of exposure, before the toxins have an opportunity to be absorbed into the bloodstream. Once toxins reach the bloodstream, they become harder to identify and warning signs like nausea, dizziness, diarrhea, and fatigue often go undetected. Therefore, if an individual believes that they have been exposed to toxic substances, they should see a doctor immediately to be examined and receive necessary medical treatment. If you have been injured due to exposure to toxic substances at work, you should contact the workers’ compensation attorneys at Michael J. O’Conner and Associates at(570) 874-3300. 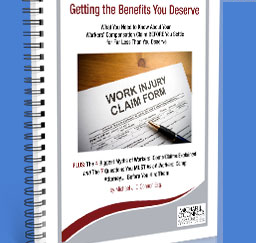 Our experienced workers’ compensation attorneys can help you find out what your rights are and what you can do after a work injury to get your life back on track. The first visit is free and the firm is not paid unless your case is won.